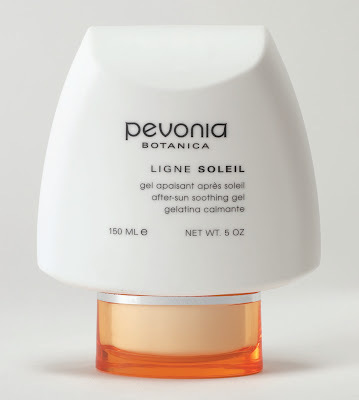 Stay protected while enjoying of the pool, beach and other Outdoors activities, win a complete line of the Pevonia Botanica Sun Protection products with a retail value 0f $151.00! For two more chance to win, visit the Diva Files! « Tommy Hilfiger – Gabrielle Sandals-Review. I’d love to try their lumafirm® Eye Contour – Lift & Glow – I could use a little lifting and glowing! I like the Balancing Combination Skin Mask. I could use the lumafirm® Eye Contour – Lift & Glow! The Lumifirm Eye Contour – Lift & Glow could do me a lot of good! I’d like to try out the Clarigel Exfoliating Cleanser! I would like to try Lumafirm. I’d love to try their Lumafirm Eye Coutour Lift and Glow! I love the Lumafirm Eye Contour – Lift & Glow – I do need help around the eye area. I like Your Skincare Solution Spa-At-Home Essentials Kit. I could use their Lumafirm Eye Contour Lift and Glow. SOME part of me should be lifted! I am in dire need of their Lumafirm Eye Contour Lift and Glow! Their Lumafirm Eye Contour Lift and Glow is something I could use! I’d like to try the ‘Age-Defying Marine Collagen Cream’. The Lumafirm Eye Contour Lift and Glow sounds life something I could really use. I would like to get the Rosacea RS2 Concentrate for a family friend. Anti-Stress Bath & Shower Gel – hey – that sounds great to me! The Jasmine Aromatic Olive Oil Soap sounds wonderful. I need the Lumafirm Eye Contour Lift and Glow. Yes, I do. I’d like to try the Aromatherapy Face Oil for Sensitive Skin. I also like the RS2 Concentrate. I’d like to try the Lumafirm Eye Contour Lift and Glow. So hard to find good products to use around the yes! Hmmmm, I’d like to try the RS2 Care Cream. They say it can decongest my skin! That RS2 Care Cream sounds mighty good to me! I like the Gentle Exfoliating Cleanser! The Tropicale Rejuvenation – Papaya-Pineapple Saltmousse sounds like an incredible product I’d really like to try. I’d love to try the Lumafirm Eye Contour Lift and Glow – I hate that crepiness! The Renewing Glycocides Creamanother great sounding item! I like the Lumafirm Eye Contour Lift and Glow! The Silky Foot Peel sounds like a must have for summer ready feet! The RS2 Care Cream sounds like it could me a lot of good! I would like to try the De-Aging Mist – Mango-Passion Fruit! The Lumafirm Eye Contour Lift and Glow is something I really need. I’d like to try the Lumafirm Eye Contour Lift and Glow. It sounds like something I need! The Lumafirm Eye Contour Lift and Glow sounds like something that could help me. The Clarigel Exfoliating Cleanser looks pretty good. I need to exfoliate! I would like the Balancing Combination Skin Cream. I need the Lumafirm Eye Contour Lift and Glow. I need it very badly. I like the Lumafirm Eye Contour Lift and Glow. i would like to try the Clarigel Exfoliating Cleanser. i try to cleanse my face every day, this sounds like a wonderful product.